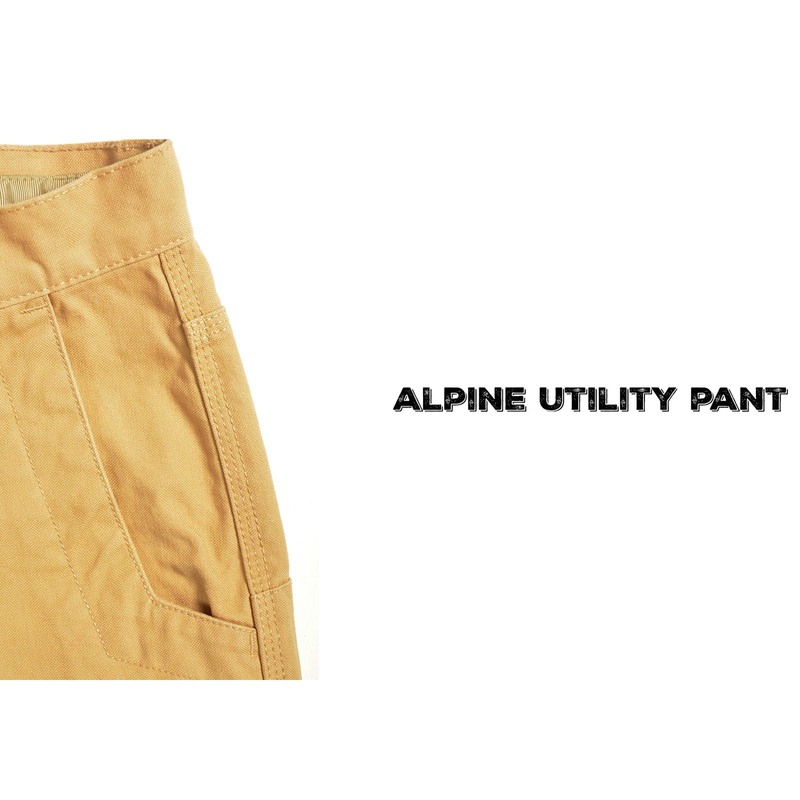 These utility pants are the workhorse of your wardrobe. Designed with triple-stitched seams, double-layer knee and seat panels, reinforced angled front pockets, "mudflap" reinforced heel cuffs, hidden right pocket, angled front pockets, and utility pocket, they're rugged and ready to go. I have been looking for double knee work pants that don’t fit like clown pants. These pants are the ones! Got them in slim fit and went one size up in the waist per other reviews. Perfect! Excellent -- quality is well above other sellers!!! These are the best quality and best fitting heavy duty utility pants I have found anywhere. I liked them so much that I bought a 2nd pair in a different color. I live in them most of the winter. Great in other seasons as well. Outstanding! I work in the conservation industry and these are the perfect pair of pants for our outdoor field season. Durable fabric, very functional and they fit great! I opted to get slim fit, but go one size up in the waist and that was just the ticket for a comfortable fit that I can walk all day in. Highly recommend! I now have 4 pair of these pants with varying degrees of wear. I love how the heavy canvas feels; they are much softer than you'd expect. They cut the wind and provide a bit of warmth, especially on winter days in my shop. They are super tough, but look good enough to wear to town (after a good wash). Really like the ruggedness and the stitching of these pants. I walk a lot in the field and the crotch seam is just a bit too low for prolonged comfort. I am going to try a couple of the other models in your line because the construction of your gear is second to none. Hope to find the right fit! !